Do you wish you had more opportunities to speak in Japanese? How much more confident would you become in Japanese if you could simply speak it more often? Well, whether you live in central Tokyo, rural Hokkaido, or in a different country altogether, it might surprise you to know that there is a small army of native speakers out there literally waiting to help you start practice speaking… even if you're a beginner. 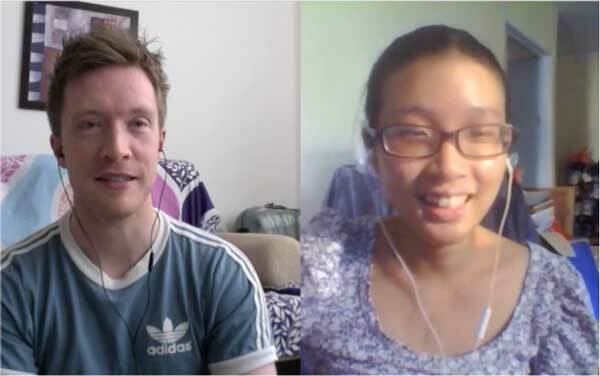 Read on, and I'll show you the exact steps I've personally used to find dozens of affordable tutors on a great website called iTalki, and significantly improved my Japanese speaking skills. If you're not currently speaking Japanese regularly, I'll guess that it's for one of two reasons. But I'm about to take those excuses and bust them wide open. Let's talk about why you need to start speaking. Yes, you're a beginner. Yes, you've got a small vocabulary. Yes, you probably make lots of mistakes. Yes, there are loads of kanji you don't know. But guess what? We all start out like that. You have much more to gain by starting to speak now, even if you don't know a lot of Japanese yet, than by waiting until “you're ready”. By trying to speak with people, even in the early stages, you quickly figure out what speaking “feels like” in Japanese – greetings, common expressions, pronunciation, even body language. Sure, you need to study your textbooks too, but the fact that you're speaking means you've got an instant way to actually put everything you're learning into practice. This is the smart way. Put off speaking for too long, and you simply risk becoming someone who can conjugate verbs till the cows come home… but can't hold a simple conversation. I call this “Speaking to Learn”. But how can I speak as a beginner? There's a perception that if you use English, you're cheating. Or that “real language learners” only ever use their target language. But I take a very practical view on this. There's got to be a middle-ground between complete beginner and the point when you can hold a conversation. And the best way to bridge this gap is by using English. English is a big deal in this case because the one thing you're probably most scared about is making mistakes and looking silly when you talk to a Japanese person. By using English, you can start enjoying all the benefits of working with a native speaker, even when you're still a beginner yourself. The biggest danger in learning a language is that you never actually start. In this case, your single step is finding yourself a native Japanese speaker to work with. …and give you a reason to study each week! And you can use English as much as you need to in order to feel comfortable. As soon as you start to become confident you can phase out the English and speak more in the target language. Honestly… this has been the single most important thing that's helped me learn not only Japanese, but 6 other languages too. So if you haven't started having simple conversations in your target language yet, can you really afford to put it off any longer? At this point, you may be thinking that hiring a professional teacher might be too expensive. Luckily, though, the best thing about being a beginner is that you don't need language classes or a professional teacher. Have another look at that list (above) of things that a native speaker can help you with. Anyone with an interest in languages can help you with these things, and get you started quickly. These people have become known as informal tutors, and are what I use personally to learn and maintain all my languages. Here's how to get started, step-by-step. 1. Sign up for a free account with iTalki. This is hands-down the best website in the world for connecting students and teachers. 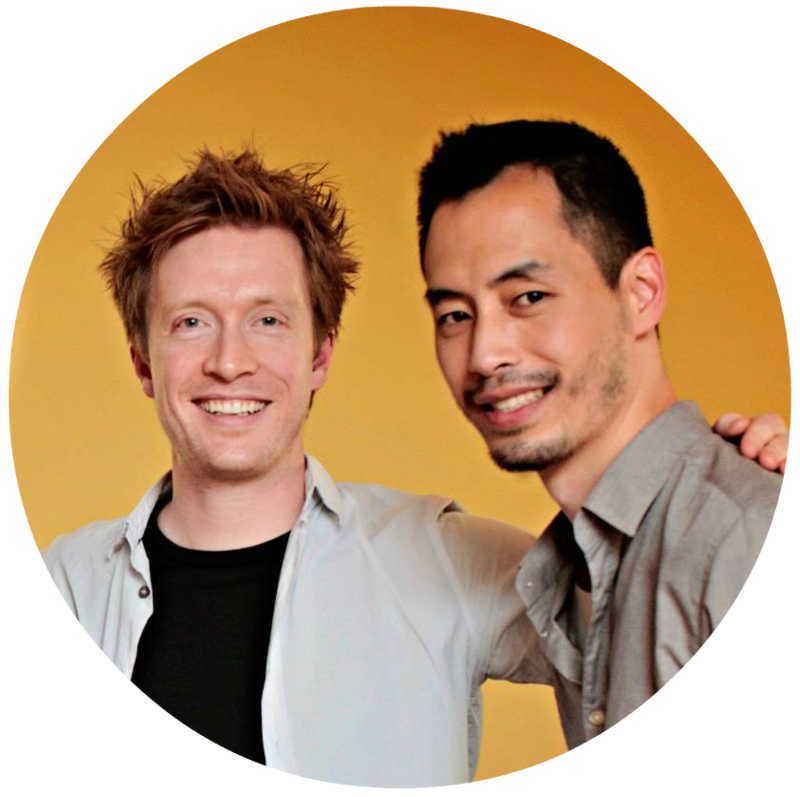 I recently had the chance to hang out with their CEO Kevin in Berlin, and his passion for helping language learners around the world was clear, and great to see. 3. Instead of using real dollar amounts to pay tutors, iTalki has a great system of credits – known as “iTalki Credits” (ITC). You simply buy credits (for as little as $10) and then trade them for time with your favourite tutors. It's totally safe, and there is a robust system in place which protects the student. 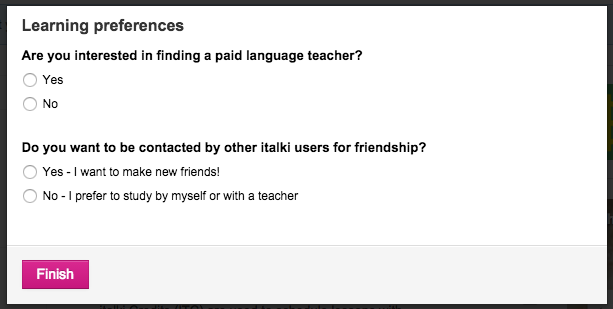 When you book a lesson, iTalki keeps hold of the credits, and only transfers them over to the teacher once you have confirmed that the lesson has taken place and that you're satisfied. Let's get you started with this. 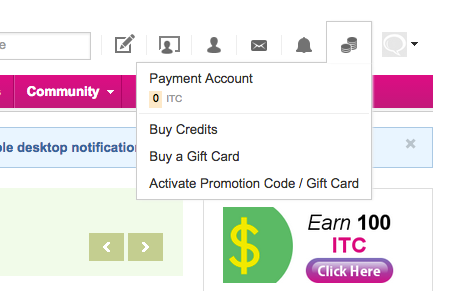 Click the coins symbol in the top right-hand corner of the screen and click “buy credits”. I suggest you just start with $10 ($10 = 10 ITC) so you can get a feel for the system. 4. Now let's find some prospective tutors. On the main screen you'll notice a tab for professional lessons. You can check this out if you want, but I suggest going for “Informal Tutoring”, in order to get the good deals I talked about earlier. 5. Enter “Japanese” for the language and nationality categories and click “search”. Be sure to select “trial available”, as this is where you can get a half-priced trial lesson to see if you like them. Do I enjoy speaking with them? Do I feel like I'm learning? Do they correct me and/or suggest more natural ways of saying things? If the answer to both of these is “yes”, then I'll carry on with them. This is why the “Trial Lesson” system in iTalki is so useful – these guys really understand what language learners need to get started. 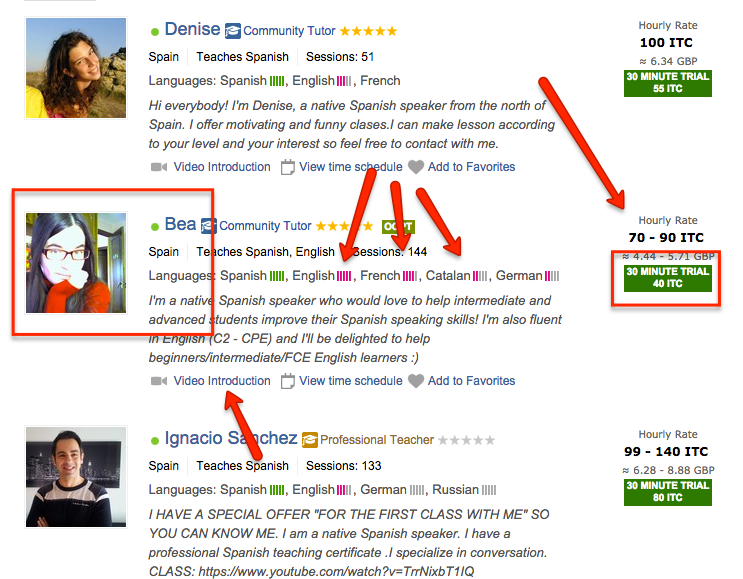 Let's have a look at one of the tutors, Bea, and see what can discover. Aside from the basic information like name and nationality, you can see a whole host of information. 9. You'll then be taken to a screen where you can see the tutor's availability and book your session! 10. Make a note of your new tutor's Skype ID and send them a contact request in Skype well in advance so that you don't delay the start of the lesson! 11. At this point, you might be feeling a little nervous or apprehensive, so I suggest you take the time to send a message to the tutor, telling them a little bit about yourself, your level in Japanese and what you'd like to do in the session. …because then you'll feel more comfortable and happy that the tutor doesn't have any unrealistic expectation. Of course, in reality, most tutors are very experienced and totally understand what it's like to be a beginner, so you'll be pleasantly surprised. 12. Write the date and time in your calendar and try not to forget! Now, I guarantee you that you'll be nervous on the day, if this is your first time chatting with a native speaker. This is totally normal, and happens to everyone. Just remember that this is happening because you're stepping outside your comfort zone. But this is a good thing. No, a great thing, because stepping outside your comfort zone is the only way to grow and improve. It's possible to make the process of learning Japanese into something very complicated. I'm probably guilty of this myself, from time to time, with all the writing I do on the blog! No, it won't happen overnight. But it will happen, providing that you get started today and don't put it off any longer. Click here to take the first step on the journey.